Bradley Sowash graciously shares his knowledge of all things jazz, creativity and more at this site–make sure to check out his website for much more! In a recent conversation, he mentioned the iRealb app (for iOS and Android) and how he uses it regularly with students. As I continue my search for worthwhile music apps and write blogs on those that “standout” for my studio, it seemed natural that my blog “categories”–Creative Corner and Music iPad apps–join forces. Below lists Bradley’s descriptions of how he uses this unique app. 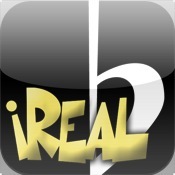 Q: How do you use the iReal b app with your students? A: I use iReal b to create rhythm section backing tracks for my students’ current scale/chord drill of the week. I also strongly urge them to practice their pop/jazz repertory with it (there are hundreds of free pre-made tracks on the users forum). A: It is so much more fun (and addictive) to practice to a drum machine or rhythm section than to a metronome. I can tell immediately when a student has actually practiced with iReal b because their beat is steady, the groove is deeper and their confidence shows. Q: Do you have students purchase the app too? A: Yes, it’s $7.99. There are also in-app purchases of additional style packs for the same price but they aren’t necessary for student work. Not all of my students use it but I wish they would. Q: Anything else you wish to add? A: This app serves the same function as Band in a Box which I’ve used for years. With BIAB, I sent home MIDI files so they could practice with their computer and I still use BIAB for students who are not app-capable. However, I prefer that they use iReal b because the tempo and groove are adjustable on their end. This app is cheaper and does not include some of the features of Band in a Box but students don’t need all the extra functionality of BIAB anyway. Q: How would you rate iReal b? Bradley’s Application Potential: 5/5 I use it everyday both as a teacher and in my own practice. Bradley’s Ability to Use with Ease: 4/5 It’s easy to create your own tracks to any chord progression whether you are tech oriented or not. If you have a lead sheet or vocal/piano folio, just select the chords for each measure from a menu, pick a groove and off you go. Bradley’s Assessment of Investment: 5/5 Relatively inexpensive, versatile, convenient. Total Score: 14/15–What’s not to like? So, now that I’m sold, here’s a brief video of me (Leila) using the app WITH the additional Piano Chord option. Only a few of the many options are highlighted. How do you use iReal b? Previous postCan Piano Lessons Stifle Creativity? Thanks for the video demonstration and your improv sounds great on A Train – simple and elegant embellishments. Everyone thinks it has to be complex to be good. A good tip is to hook the ipad/iphone to external speakers so the backing tracks mix better with the live playing. Oh my, thank you, really wasn’t thinking about my improv style when I made the video but I appreciate your feedback. I’ll take anything I can get from a jazzer like you, Bradley! Thanks for hooking me up with iReal b.